There are few things more refreshing than watermelon on a hot day, and lately, every day seems to require more watermelon than the day before (it’s been so hot here!). Here at Lars, we’ve loved seeing so many watermelon products, DIY’s, and recipes floating around the web this summer, and turns out, we are not the only ones who are obsessed. Apparently, August 3rd is national watermelon day, and we’re all about celebrating random holidays. 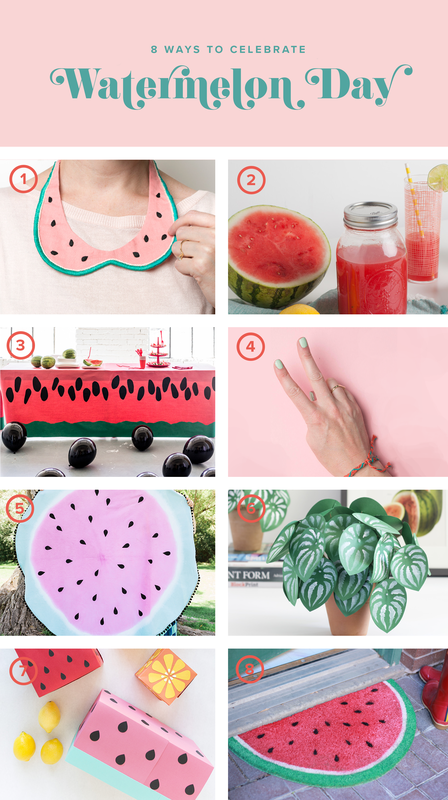 So we created a Watermelon Round-Up of our favorite watermelon-inspired products, recipes, and projects to help you celebrate! Still craving more watermelon projects? Check out some of our favorites from our friends around the web! Make this Watermelon Pinata and fill with all the fruity candies! Mini Watermelon Bags make adorable favors for a party. Watermelon Sun Hat keeps you shady and sweet! I love these Mini Watermelon Pinata pouches for gifts!